Having lived and grown up in countries all over the world, I am not especially nationalistic. Jingoism makes my blood boil. Still, I am proud of American jazz, blues, rock & roll, baseball and ... Zinfandel. Why Zin? Well, Zinfandel can be considered a uniquely American wine—the only one, in fact. It accounts for more than 10 percent of the grapes grown in California vineyards. And yet, "Zinfandel" sure doesn't sound American. Indeed, the name Zinfandel is thought to be of European origin, possibly linked to the "Black Zinfardel of Hungary" mentioned in A Treatise on the Vine by William Robert Prince in 1830. Others think it's a modification of Tzinifánfli or Czirifandli, Hungarian terms that derive from the German "Zierfandler" ("white grape"). It's much too dense and complex to go into here—thousands of pages of research have been written—but anyone really interested in the obscure origins of what is called Zinfandel in this country might want to wade into the debates and DNA fingerprinting of Italian and Croatian Primitivo and Tribidrag grapes, versus Zinfandel. Although the matter still hasn't been settled to everyone's satisfaction, Zinfandel is thought by some researchers to have genetically descended from Croatian grape varietals. Whatever its etymology, Zinfandel in America dates back to the 1820s, when it was planted on Long Island. By 1835, Zinfandel was being used in the Boston area—cultivated as a hothouse varietal—as a table grape. It is first documented as a grape used for making wine in 1847, in John Fisk Allen's Practical Treatise in the Culture and Treatment of the Grape Vine. But, it would soon be supplanted in the Northeast by the heartier Concord grape, which could be grown outdoors. In the 1850s, Zinfandel made its first appearance in California, albeit as a table grape that came west with the Gold Rush. It's thought that Joseph Osborne might have made the first California Zinfandel wine after he planted Zinfandel at his Oak Knoll Vineyard in the North Napa region. A Zin boom followed, and by the end of the 1800s, Zinfandel was the most common wine grape variety planted in California. Today, Zinfandel tends to be made most often in a big, robust, high-alcohol style. Blackberry, anise and pepper flavors are typical of Zins from warm climates, while raspberry and strawberry flavors tend to find their way into cool-climate Zinfandels. Either is great to drink with hearty dishes such as grilled or barbecued meats, pasta with red sauces, lasagna, roasts and stews. I'm fond of the American Zinfandels produced by Joel Peterson and his Ravenswood wines. 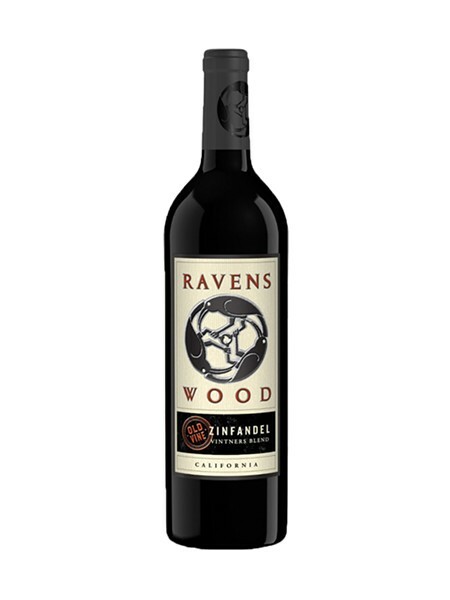 Here's a trio to try: Ravenswood Vintners Blend Old Vine Zinfandel is a great bang for the buck at $12.99, and an even better bargain when it goes on sale, for $9.99, which happens frequently. It's big and bold, but simultaneously approachable, with soft tannins and rich fruit flavors. A step up from Vintners Blend is the Ravenswood County Series, featuring juice from Mendocino, Lodi, Napa Valley and Sonoma. I particularly like the ripe jammy flavors of Napa Valley Old Vine Zinfandel ($13.99), with hints of dark chocolate, blackberries and cocoa. But at 14.5 percent alcohol, you might want to sip this one slowly. Ravenswood's Single Vineyard Designates is a wine series that's all about terroir. These are vineyard locations that are ideally suited to the grapes grown there: old, low-yield vines that are site-specific. Ravenswood Dickerson Zinfandel ($32.99) offers notes of mint and eucalyptus, along with sweet mid-palate fruit flavors that are well balanced by the wine's acidity. Invest in America! Drink Zinfandel.